The 2016 growing season benefited tremendously from the return of significant winter rainfall across the Napa Valley. Whereas the challenging 2015 season produced smaller yields of high-quality fruit, 2016 was more in keeping with the textbook vintages of 2012 and 2014, with a longer and milder growing season. As a result, the 2016 Pulido~Walker Panek Vineyard Cabernet Sauvignon tells a story all about site and varietal. With less stress on the vines thanks to rain, extended hang time, and no weather drama, the wine speaks unmistakably of this particular place. We harvest from five different blocks in this vineyard. In past years, there have been standout lots of wine associated with individual blocks and clones, but 2016 has changed all that. The combination of vine maturity and new farming efforts brought all five into the limelight in 2016. While the final clonal blend remains the same this vintage, clones 4 and 337 will play their own starring roles in coming vintages. The 2016 Panek Vineyard Cabernet shows a good mix of acidity and tannins, a welcome counterpoint to the generous fruit profile we’ve come to expect from this valley floor locale. While the previous vintage is highly structured, with more prominent tannins than we usually get from this site, the 2016 is a beautiful balance of structure and luscious fruit. There is a more deeply satisfying mineral completeness to the 2016 Panek Vineyard Cabernet than we’ve seen previously—a new milestone for wine from this site that will prove to be its hallmark as the vines continue to mature. The wine is darker, with more black-fruit qualities balancing the caramelized sugar aspects of red fruit. The relationship of the two is as ideal as we’ve anticipated it could be, marrying round tannins and excellent acidity. 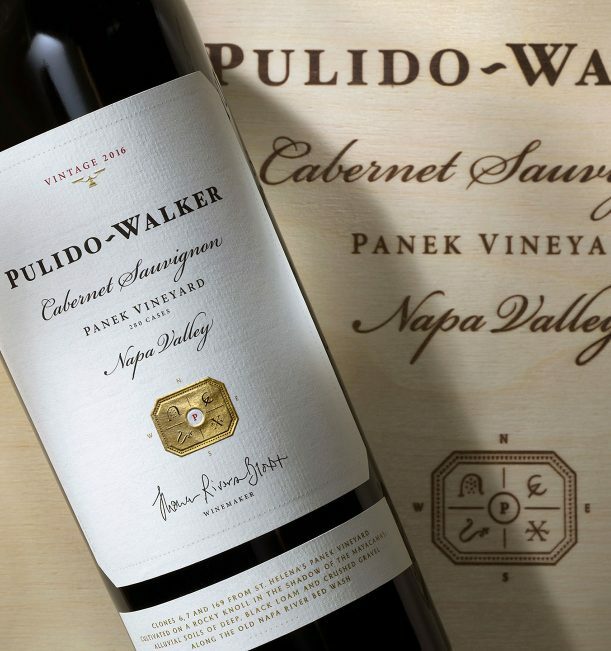 The 2016 Pulido~Walker Panek Vineyard Cabernet Sauvignon is a wine destined to enchant for decades to come.